UPDATED: Wed., July 18, 2018, 9:49 p.m.
With predictions of hot, dry temperatures continuing throughout the week, air quality predictions remained in the moderate health quality range Wednesday evening. 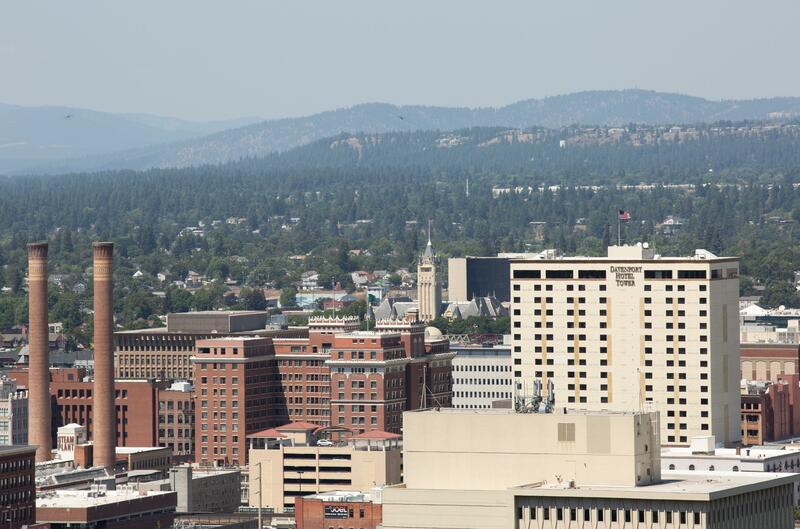 The light haze of smoke hanging over Spokane Wednesday resulted primarily from the Upriver Beacon Fire that broke out north of the city a day earlier, but was augmented by fires in the Oregon Dalles, said meteorologist Steve Bodnar with the National Weather Service in Spokane. Air quality over the next several days remains difficult to anticipate due to uncertainty over future fire activity. Spokane can continue to expect warm, dry conditions through the rest of this week and next, Bodnar said. Stephanie May, public information specialist at the Spokane Regional Clean Air Agency, said there may be a slight improvements with winds pushing smoke out of the area. Conditions showed little change as of 9:30 p.m. Wednesday, however. Sensitive individuals should continue to monitor air quality, which is updated at 15 minutes past the hour on the Regional Clean Air Agency’s website. As of 9 p.m. Wednesday, the air quality remained moderate. Air quality predictions are not anticipated to worsen dramatically. However, more smoke could arrive Thursday, depending on wind patterns. Published: July 18, 2018, 3:57 p.m. Updated: July 18, 2018, 9:49 p.m.